Rising Sun Karate Academy Virtual Training is a brand new program designed by Seventh Degree Black Belt and Karate Hall of Famer, Kyoshi Jason David Frank. Through this virtual training program, you will be able to learn martial arts from Jason David Frank. 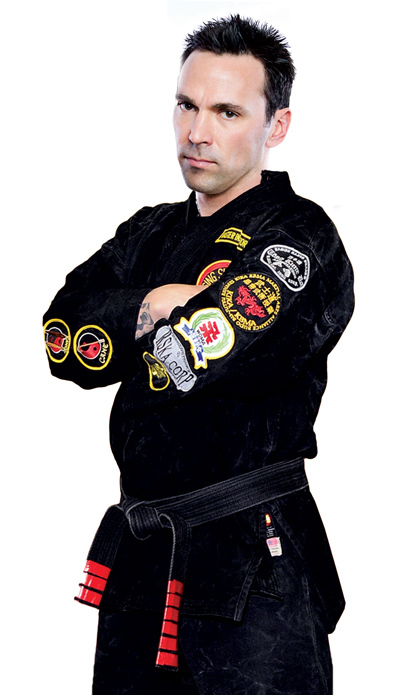 Hanshi Jason David Frank began to look at the different styles of martial arts. During his study of the styles, he came to the conclusion that there was no single style that was the definitive martial art. In 1994 he created his own system called “Toso Kune Do”. It is a which its literal translation means “Way of the Fighting Fist”. There are aspects of many different martial arts incorporated into Toso Kune Do. From this time on, he began to open schools under the name of Toso Kune Do.